My greatest fear in entering a transition was isolation. Now, a few months into this, let me say that I had it all wrong. I left a full-time role in Spring 2010. My boss often joked in public, “you can work any 60 hours you’d like.” He believed his approach was both enlightened and funny. So here is my 180 on isolation…. I was driving and happened to be listening to NPR. They were interviewing some photojournalists in the aftermath of the deaths in late April of two western journalists in Misrata, Libya. The segment featured the personal accounting of this journalist who had been a war correspondent for many years but recently had been injured. He retold a scene which was etched in his mind. It was a scene of women who were waiting outside a bakery in the middle of a terrible war event in Beirut. I don’t recall if any of them were injured but in his retelling they were terrified and frozen on the front lines of mayhem. He passed them by — not photographing their desperation or fear. He was off to find his prize-winning picture. As he recollected this event he viewed it as an inflection point — a beginning in the process of ‘losing his humanity’. In his retelling he didn’t recognize at that time how isolated he was while in pursuit of the “perfect picture.” It took a terrible personal injury and many years for this perspective to emerge. The piece spoke to me. Losing my humanity? If I use his lens – the process for me took almost twenty years. My professional success built large stone walls around me. The walls were fortified with the increasing responsibility, the ever-expanding schedule <7×24>, the sheer volume of work, and the need to focus on a few other topicsin the short hours I wasn’t working. I wasn’t aware of how isolated I was in that “working”, “very-successful” cocoon. So my take almost a year into my transition is that my greatest fear proved vacant. The real isolation had been pre-transition. I hadn’t seen it. I wonder why? Today my work self has to be different from before. It has to incorporate my humanity. That much I know. Have you experienced any detachment from yourself as your work-self progressed? Did it matter to you? 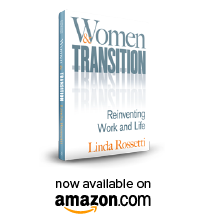 This entry was posted in Observations on Transition and tagged isolation, observations on transition, women's transition issues. Bookmark the permalink.